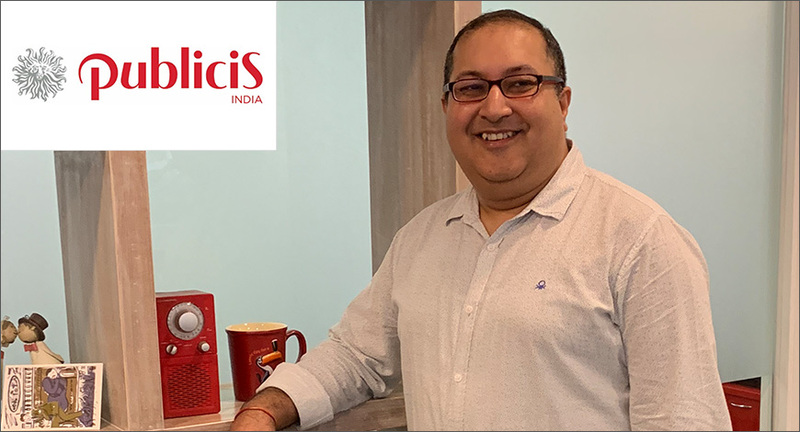 Publicis India has announced the appointment of Neeraj Bassi as Managing Partner & Chief Strategy Officer. Neeraj will work from the agency’s New Delhi office. Along with Srija Chatterjee and Bobby Pawar, Neeraj will help in fostering collaboration and delivering on the Power of One synergy across the Groupe. With over two decades of professional experience, Neeraj has worked with some of the world’s most renowned brands including Coca-Cola, Asian Paints, Cadbury, BMW, KFC, Adidas, Samsung, British Airways, WeChat, Voltas, Audi, HSBC, Max Life and Tata Singapore Airlines – Vistara among others. He joins Publicis after a brief stint as an independent Consultant where he provided strategic guidance and brand solutions for multiple clients across various categories. Neeraj has worked with some of the top market research networks such as TNS, IMRB, and NFO and led the Strategic Planning function in advertising agencies including Cheil, Ogilvy, JWT, McCann in India and abroad. Neeraj has also won multiple awards across reputed award festivals that recognise effectiveness such as Effies (India & APAC), AMES, WARC, etc.